As Harvest 2013 continues, so does preserving the bounties from My Garden 2013! One of my absolute favorite things to grow in the garden is zucchini. It’s something Elliette and I both enjoy…and even sometimes Jason! It’s super easy to freeze and pull out to use at various times through out the year. My favorites being zucchini bread or a zucchini “crash potato”. If you find yourself with a ton of zucchini on your hands here is a super simple way to get it frozen and ready for cooking through the year. It took me maybe 30 minutes to do up three zucchini. First off, this zucchini is way too large. 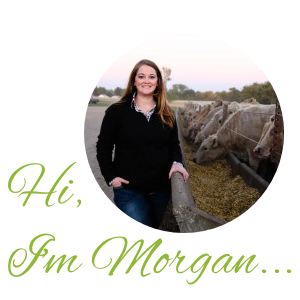 My husband didn’t see it while I was visiting in Indiana…so, it got HUGE! I typically slice the skin off of mine- some people don’t. I prefer it that way. Next up, chunk that bad boy into pieces. 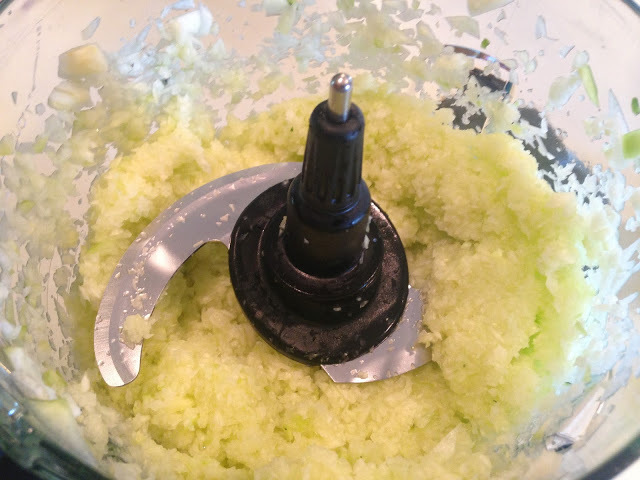 Throw in a food processor. 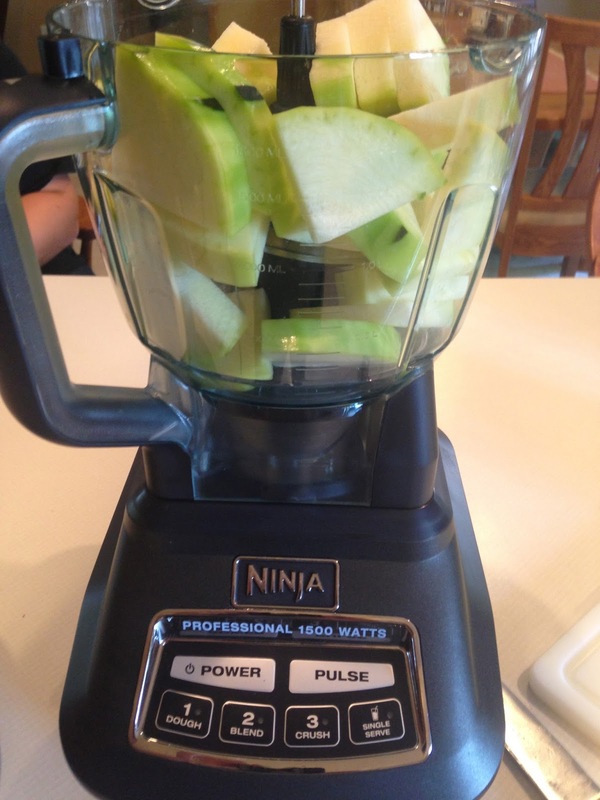 I used my Ninja with the dicing blades in. Pulse until it’s chopped into tiny pieces. I did quite a bit, so I just filled a bowl and kept pulsing. 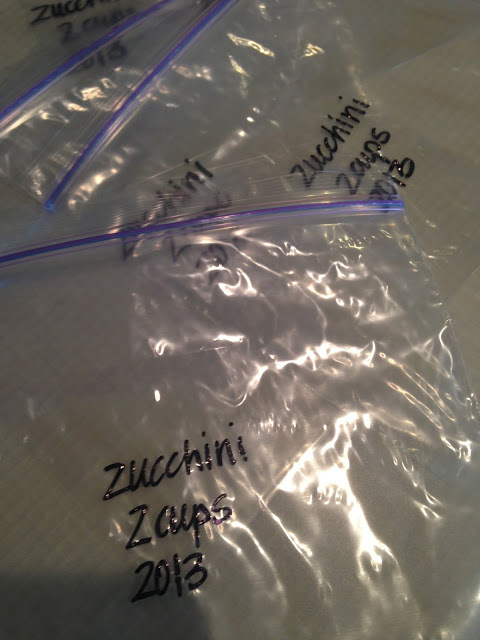 I then labeled some sandwich bags. I put my zucchini in as 2 cups because that is what my two favorite recipes call for! Filled and flattened out. Then I threw them in the freezer. Pretty much the easiest thing ever. 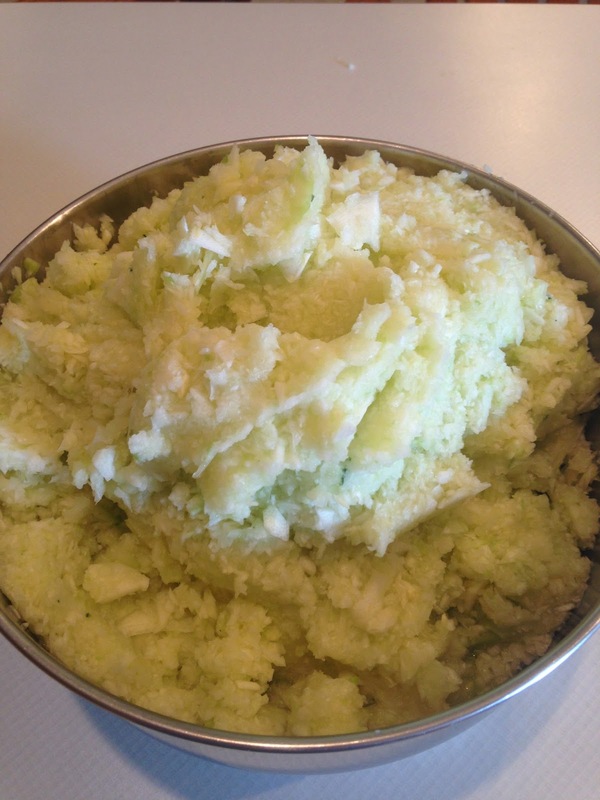 Did you drain any of the juice, or squeeze the zucchini before storing? I always find mine to be quite wet when I thaw it out. Hey Bunkin Mama! I actually have found that the moisture in my zucchini is just what I need in most of my recipes. I will say that this year’s crop was really, really dry compared to the last two years. I do not do any straining or draining at all. I am wondering if the lack of moisture in the zucchini has anything to do with the severe dryness we are having in our area of the world. What do you use your zucchini for? I already have several bags in the freezer! I’m so excited to actually have my own zucchini this year! I am saving every bit that we haven’t used for something else! And yes, it is SO easy to shred and freeze!